New Council of Mortgage Lenders (CML) data published on the 9th October, on the characteristics of lending in August, show that lending declined slightly compared to July, the first month-on-month drop in house purchase lending volume since February this year. Total gross lending in August was £18.1 billion. This was 8% lower than July (£19.7 billion) but 10% higher than August last year (£16.4 billion), according to the Bank of England. - First-time buyer lending declined in August compared to July, with 28,900 first-time buyer loans – 4% fewer than in July but 9% up on August 2013. By value, there was £4.4 billion of lending to first-time buyers – 4% down on July but 22% higher than August last year. - Lending to home movers also declined, with the number of loans advanced to movers totalling 36,500, a 3% fall on the previous month but up 7% on August last year. By value, lending to movers totalled £7 billion, 3% down on July but up 17% on August last year. - Remortgage lending activity saw a decrease month-on-month and also year-on-year in August. The number of remortgages in August was 4% down on July and 11% down on the same month last year. The value of these loans (£3.7 billion) was down 5% on the previous month and down 3% year-on-year. 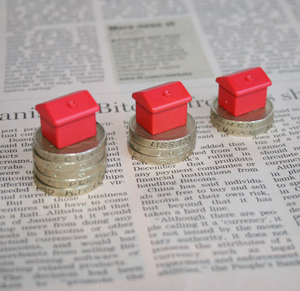 - Buy-to-let lending fell 13% over the month to £2.1 billion in August, but increased 11% compared to August last year. “The lending climate had a glass half full, glass half empty feel about it in August. On the one hand it saw a decline in all lending types month-on-month, which would suggest a levelling off of the market, with remortgaging remaining flat. Yet, on the other hand, we saw the highest August house purchase lending levels since 2007, and the recent Bank of England Credit Conditions Survey expects an upward trend in remortgaging in the final months of the year. Overall, these figures give no support to any fears of a developing bubble in housing. Aggregate mortgage data compiled by the CML at this time, includes the total value of mortgage loans outstanding reported by the biggest mortgage lenders, which accounts for around 70% of total mortgage lending in the UK, and is calculated to be in excess of £889bn."